Spring is an incredible time to visit the Finger Lakes region of New York—and the best way to see it just may be on foot. The landscape is awash in brilliant green, and the snowmelt means waterfalls are roaring at full capacity. 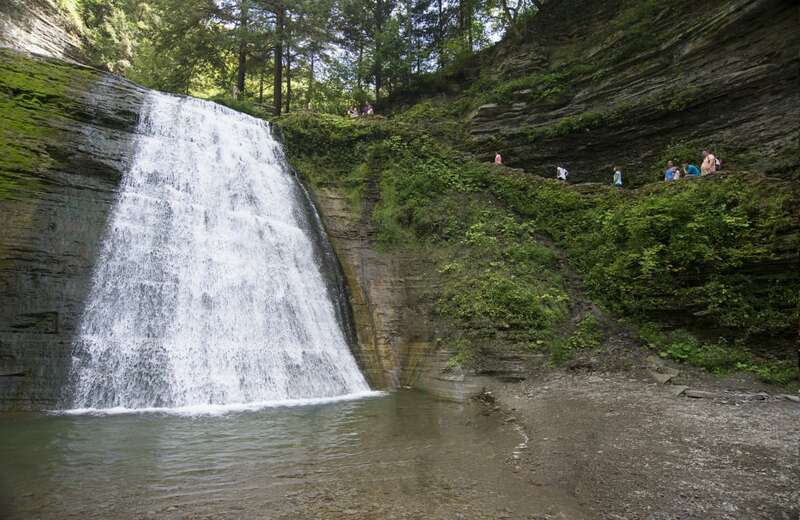 Options abound for stunning hikes throughout Corning and the Finger Lakes, but these seven are among the best, offering both challenging treks and leisurely strolls. No matter which you choose, you’ll enjoy some of the most scenic spots in the state—so dust off those hiking boots and get ready to hit the trail. One note, however: The early spring is often wet, meaning that muddy trails can be closed. Most trails are usually in good shape by mid-May, but it’s a good idea to check ahead to see what’s open before traveling to the trailhead. Connecting the famous Y-shaped Keuka Lake to Seneca Lake, the Keuka Outlet is the only natural waterway that links any of the Finger Lakes to each other. This trail that follows the narrow waterway is part of the area’s rail-trail system, which was created from a converted railroad right-of-way. The dirt and gravel path winds along the grassy bank of the stream and through a rugged gorge carved from shale and limestone. The area’s industrial past is also on display, with the impressive remains of former locks, grists, distilleries, and dams along the route. With multiple waterfalls swollen from snowmelt and trillium blooming in abundance, this trail shines in the spring. Getting there: To reach the trailhead in Penn Yan: From Main Street, turn west onto Elm Street (Route 54A) and follow to the community ball field on the left. To reach the Dresden Trailhead: Follow Route 54 east to Dresden. After crossing Route 14, bear right onto Seneca Street. The trailhead and parking lot are on the right. Several reasons why Erwin Wildlife Management Area is such a great spot for spring hiking: It’s just five miles from Corning, making access more convenient; it offers plenty of hiking options, so if some trails are too muddy, you can choose from others; and trails are dog friendly (dogs must be leashed, however). Most of the trails throughout the park are one-way, but many can be combined with access roads to form loops of varying length. There is also an abundance of wildlife viewing around marsh ponds and deep in the second-growth hardwood groves. Getting there: Erwin WMA is located approximately 5 miles west of Corning. From the north, the area can be accessed from Smith Hill Road off the Coopers Plains exit of Route 17. From the south, follow Weaver Hollow Road off the Gang Mills exit of Route 15. 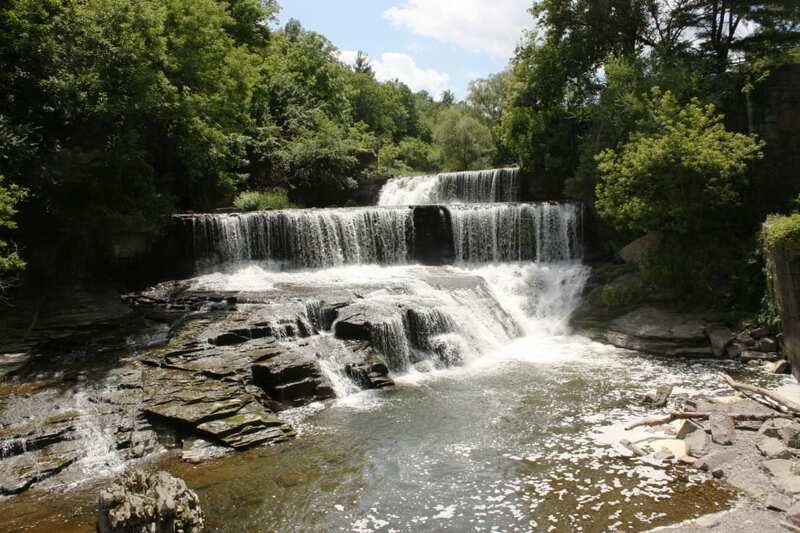 Watch the landscape wake up with sweeping views of the rugged gorge, witness trees unfurling their leaves, and enjoy waterfalls crashing majestically along the trails at Stony Brook State Park. Begin on the lightly trafficked East Rim Trail for sweeping views of the rugged gorge and then cross over the bridge (there is one at each end) to experience the highlight of the park, the Gorge Trail. You’ll find three waterfalls flowing with spring runoff (don’t forget to bring a camera) amid the spectacular setting. If the popular Gorge trail is too wet in early spring, the West Rim Trail is usually a drier and worthwhile option. Getting there: From I-390, take Exit 4 onto Route 36 south. The Lower Park Entrance is 1.4 miles from the exit. The Houghton Land Preserve features two miles of short but oh-so-sweet trails overflowing with spring wildflowers and songbirds. The preserve is just a hop, skip, and a jump from downtown Corning, and the wide-open meadows beckon with a little slice of serenity come springtime. Getting there: From Route 352/Denison Parkway in downtown Corning, turn south onto Chemung Street. Take Chemung Street to Spencer Hill Road and drive about 2 miles to the preserve entrance on your right. From Corning Community College, take Marland Road and continue on Spencer Hill Road toward downtown Corning. Drive about 1/4 mile to the preserve entrance on your left. If wet spring weather just won’t cooperate with your desire to get outside, the Painted Post Trail in Corning is just the ticket. With an interesting stepped design that’s easily navigable even in rainy weather, this paved path through a grassy thoroughfare connects schools, playgrounds, other trails, and residential neighborhoods west of Corning. Getting there: To reach the trailhead in Craig Park from I-86, take Route 15 to Exit 43 on the west side of Corning. Exit east onto High Street (toward Corning and Painted Post). Pass West High School and turn right immediately onto a drive that leads into Craig Park. Follow the road past the swimming pool, through the parking area, and to the trailhead. When it comes to memorable hiking trails in the region, this one is at the top of the list. A trip through the gorge allows visitors to see 19 different waterfalls in addition to stunning rock formations. You have three main choices for exploring Watkins Glen: the Indian Trail, the South Rim Trail, and the Gorge Trail, which all run roughly parallel to the gorge. The Indian and South Rim trails follow the rims of the gorge, while the Gorge Trail descends to Glen Creek and offers the best views from below. Starting at the Main Entrance of the park, most visitors hike the Gorge Trail as an out-and-back. But you can also create loop options from the system of trails, or take a shuttle bus to make a point-to-point trip. A few things to keep in mind: The Gorge Trail is usually closed until mid-May, so this should be a late spring excursion (although other trails are open year-round). This is also one of the most popular hikes in the region, so if you can make the trip on a less-crowded weekday, do so. Getting there: From Corning, take Route 414 northeast toward the town of Watkins Glen. Take a left on Franklin Street, and the entrance to the park is just a quarter mile farther on the left. 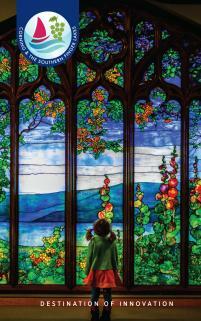 It’s about a 30-minute drive from Corning. Located next to Pinnacle State Park, the McCarthy Hill State Forest offers some more challenging trails and distance for those who want to get their heart pumping. Of course, you can also choose the flat, family-friendly trails as well if you’re hiking with younger ones. But the Otter Slide Trail is steeper and more difficult for those looking for a challenge. You’ll find lots of tree cover, and while lower elevation trails can get muddy in the spring, the network is large enough to usually find plenty of dry options as well. Getting there: From Corning, take Interstate 99 to Route 417 west. Once you reach the town of Addison, this becomes Front Street. 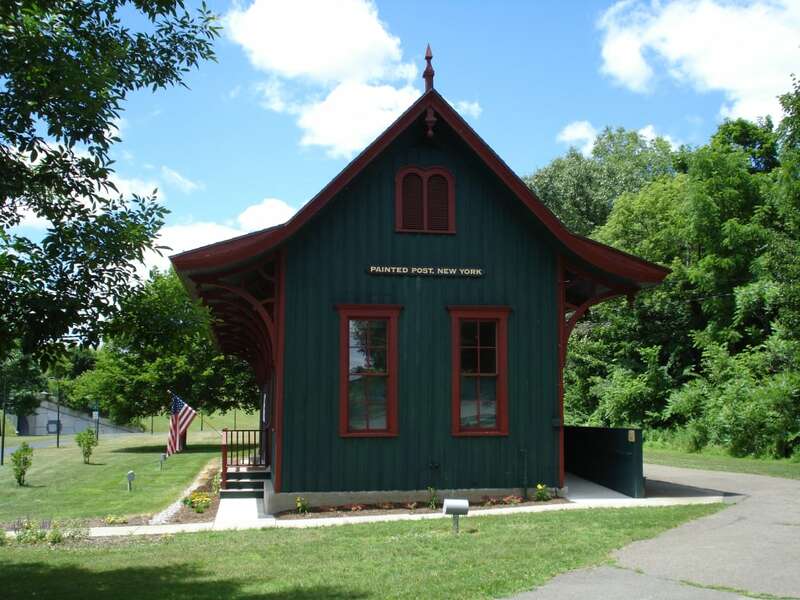 Continue through town, crossing the Canisteo River. Stay to the right, leaving Route 417 to merge onto South Street. Continue south about a half mile until you make a left on Ackerson Road. Continue past Pinnacle State Park and the entrance to the state forest will be on your left. Regardless of where you go, spring is an optimal time to get outside for a hike to soak up the warmer weather and spectacular scenery of the Southern Finger Lakes. Written by Lisa Collard for Matcha in partnership with Steuben County.